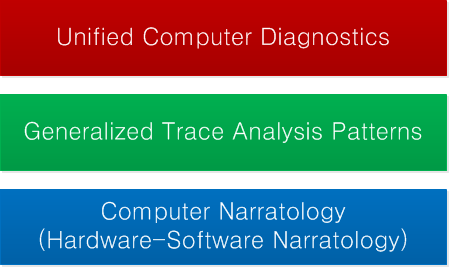 Generalized trace analysis patterns and narrative extends the view of hardware-software traces and logs as temporarily ordered event sequences. The time domain is generalized to any arbitrary set such as a list of indexes or pointers or even memory itself. This gives a unification of memory and log analysis and application of Computer Narratology (*) to memory dump analysis as well. (*) We call the application of methods of literary narratology to computer trace and log analysis and computer-related stories in general as Hardware-Software Narratology or simply Computer Narratology as it was originally done in Memory Dump Analysis Anthology, Volume 3 when we first introduced Software Narratology.